Specifically, THE PLAYERS grant will go toward replacing the main playground structure and underlying fall area on The Webster Head Start and Exceptional Student Services (ESE) playground. The original play structure, in need of replacement, had been removed over the summer, but there were no funds in the Head Start budget to replace the play structure at this time. The “Red Coat Ride Out” will arrive at The Webster School located on 420 North Orange Street on Nov. 17 at approximately 10:00 a.m. to announce and present the grant. School Board Member Bev Slough, Assistant Superintendent Martha Mickler, Director of Student Services Sallyanne Smith, Director of Community Relations Margie Davidson, Webster Principal George Leidigh, Webster Assistant Principal Esther Seward, Head Start Director Mary Ann Holanchock, and Head Start Management Team Lisa Studivant, Kellea Snyder, Jan Caban, and Laurie Jones will be on hand to represent the St. Johns County School District Head Start Program. 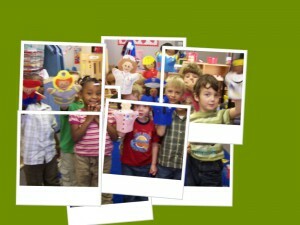 The SJCSD Head Start Program serves 135 low-income three and four year olds. Head Start classrooms are located at Crookshank Elementary School and the Webster School in St. Johns County. The SJCSD Head Start Program includes comprehensive child development services, parent involvement, and strong community partnerships. In addition to providing a quality early childhood education for each child in the schools, other comprehensive child development services include health, mental health, dental, and nutritional services. The parent involvement component includes classroom participation, parent education, participation in program governance, and development of personal goal setting to foster family self-sufficiency. Head Start works closely with many community agencies to provide a collaborative support system for Head Start families. The Head Start enrollment office is located at The Webster School. 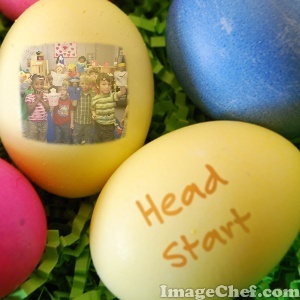 For more information on the SJCSD Head Start Program please call 547-4896. THE PLAYERS Championship contributes to a diverse group of charities throughout Northeast Florida, living by the PGA TOUR’s mission to give back to the communities in which it plays. Since 1977, when THE PLAYERS moved to Ponte Vedra, more than $28 million has been contributed to Northeast Florida charities, ranging from health care to youth and education to human services. This effort continues to prove that golf is the official sport of giving back. PricewaterhouseCoopers, JELD-WEN and UBS are the exclusive Proud Partners of THE PLAYERS. For more information, visit www.PGATOUR.com/THEPLAYERS.